The Series 3 from Braun is one of the best-selling lines of entry-level shavers on the market. Due to their affordable price, reliability and overall good performance, the Series 3 represents a very compelling option for the thrifty buyer. And in many cases, you really don’t need anything more than a basic, no-frills electric shaver. The 3010s is a prime example of that and is also one of the more popular models in the revamped Series 3 ProSkin range that made its debut back in 2015. 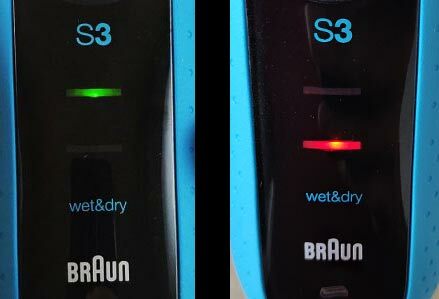 In this review we’re going to test the Braun Series 3 3010s model extensively, showcasing its pros and cons and hopefully help you decide whether it would be a good fit for you. We’ll also check out a few other options, both from Braun and the competition that may actually work better in certain situations. Without further ado, let’s start with a quick glimpse over the main features. Wrapup — who should buy the Braun 3010s? Being a basic foil shaver that lacks the high-end technologies of Braun’s more advanced razors, the 3010s doesn’t really have an extensive list of features. One middle trimmer that captures and cuts longer, flat-lying hairs. Braun calls this foil SensoFoil and what makes it stand out is the hexagonal shape of the perforations and are supposed to be more efficient at catching the hairs. 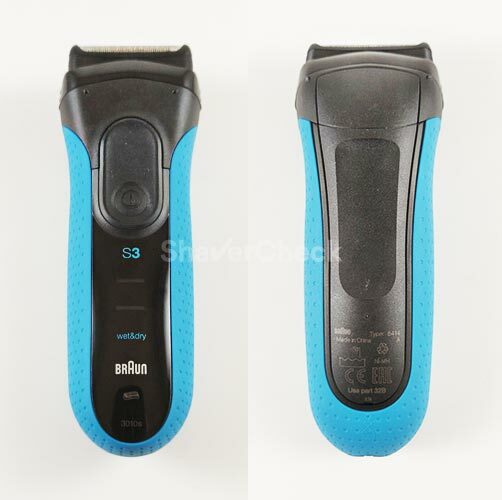 The middle trimmer is surrounded by a so-called micro-comb that features these grooves that feed the hairs to the cutters. It’s made out of plastic and has a distinct white color. The shaving head itself is fixed and can’t flex at all, but the three cutters can move independently, hence the pompous Triple Action FreeFloat System. Some Series 3 variations (like the 3050cc for example) are suitable for dry use only. However, the 3010s in our review is a wet/dry shaver, meaning you can use it in the shower or with your favorite cream or gel. With an IPX7 rating, it can be safely washed with water and even submerged in 5 meter deep water. This model has a very rudimentary battery indicator, consisting of only 2 levels. It’s not particularly useful, but some compromises had to be made in order to keep the price low. 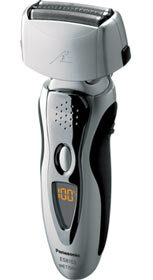 As all wet & dry electric shavers, the Series 3 3010s can only be operated cordless. For that it is fitted with a Ni-Mh battery that should provide up to 45 minutes of shaving time. 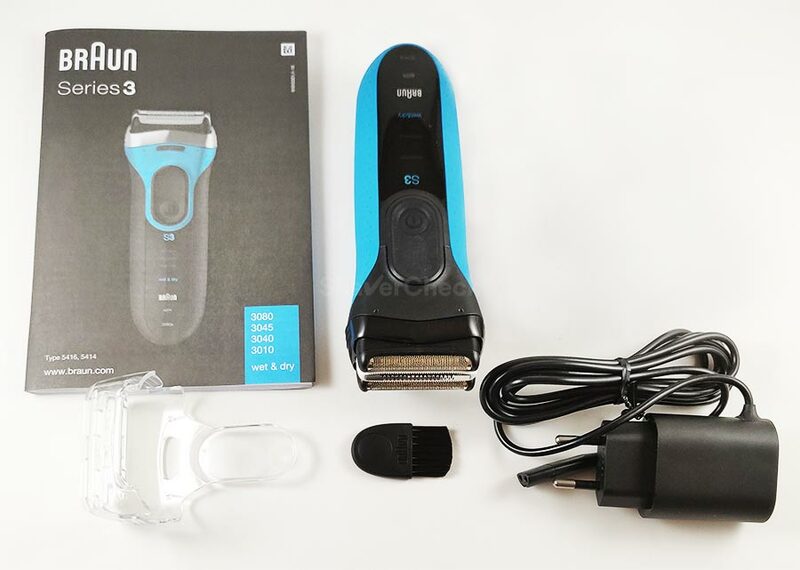 There’s also a 5-minute quick charge function and the universal voltage converter allows you to charge the shaver anywhere in the world. Like all Series 3 ProSkin models, the 3010s is rugged and feels very substantial. And from past experience, I can safely say that these shavers can really take a beating. In fact, other more expensive Braun shavers feel more plasticky and fragile. While it’s not very attractive from certain angles, the 3010s is in turn very solidly built. My favorite part about it is that large teal colored surface that ensures fantastic grip. In fact, it’s probably the best I’ve encountered on any electric shaver, regardless of price point. It’s impossible for the razor to slip out of your hand, despite the very chunky profile. Still related to this, there’s a generous rubberized thumb rest surrounding the ON/OFF button and its placement is just spot on. This oval-shaped thumb rest is also covered in a very grippy rubber-like material and so is the power button. You can even put your thumb on it during use since it’s rather hard to press. This will come in handy when traveling since the Series 3 doesn’t have a travel lock. Luckily, Braun was at least thoughtful enough to design the protective cap in such a manner that it extends past the ON/OFF switch and prevents erroneous operation. Speaking of the cap, you may have noticed two details that make no sense. First, there’s that small cutout on the front. That’s for clearing the foil lock switch found on other more expensive Series 3 models like the 3080s. The 3010s lacks that (fairly useless) feature, but it obviously comes with the same type of protective cap. The second detail is the raised rim on the opposite side of the cap that would normally cover the long hair trimmer. Again, there’s no such trimmer on the 3010s. You’ll have to opt for a Series 3 3040s or a 3080s to get one. On the front of the 3010s, right below the ON/OFF button, there’s a glossy surface that houses the very basic LED display and some branding. This surface gets very easily scratched — I managed to put a few scuffs on my review unit despite using it for only a few weeks. 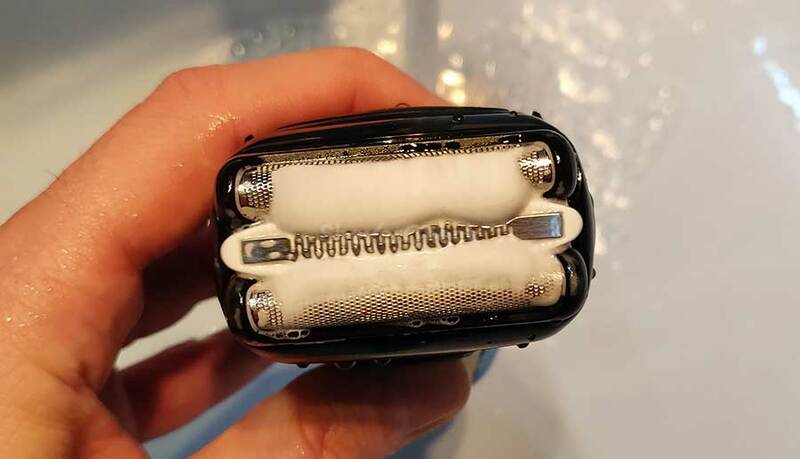 The charging port is located on the bottom of the shaver and it’s the same 3 pin port found on all current Braun shavers. As for the negatives, I’m going to have to nitpick since the Series 3 gets pretty much all the basics right. As mentioned previously, there’s no dedicated travel lock switch. But since the power button takes quite a bit of force to be pressed and is also protected by the plastic cap, that’s not really a big deal. I would’ve liked the body of the shaver to taper a bit since it’s got quite a substantial girth, but with that very grippy surface and the well-balanced weight distribution, I think we can let it slide. 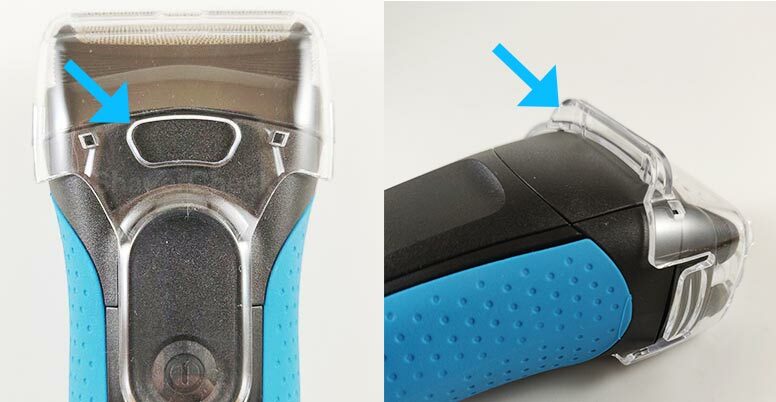 Finally, the shaving head (called cassette) doesn’t have a release button, so you must simply grab it between your thumb and pointing finger and pull it straight out of the shaver. It can be a bit slippery at times despite having a couple of ridges on the sides for added grip. Overall, the Braun Series 3 ProSkin 3010s fares really well with regards to build quality and ergonomics, despite some minor gripes. It’s a pretty standard bundle and the only thing missing is a travel pouch. Panasonic does offer one with the Arc 3, even though it’s not particularly good. Anyway, there are a few third-party cases specifically designed for the Series 3 and they are quite good, offering very decent protection and they also have enough space to accommodate both the shaver and the cord. All Braun Series 3 shavers are fitted with a NiMh battery as opposed to the Li-ion units found on the more expensive Series 5, 7 and 9. Both types have pros and cons, but the Li-ion batteries are overall better (no memory effect, lower discharge rate, no maintenance required). However, modern NiMh batteries like the ones in the Series 3 3010s are a lot better than the older ones and exhibit far fewer limitations. For example, you only have to fully discharge the battery (through use) once every 6 months, so that’s practically a non-issue. Also, when charging the shaver for the first time you should leave it plugged in for 4 hours (this isn’t necessary with Li-ion batteries). Apart from these, just use it without any restrictions. The only thing you should avoid doing is exposing the shaver to extreme temperatures as that can affect the batteries, regardless of type. The battery life of the ProSkin 3010s is actually really good. I was able to get a bit more than the claimed 45 minutes from a fully charged battery. Charging takes approximately one hour and during this time you cannot use the shaver. The battery level indicator on the 3010s is as basic as it gets. There are only two bars, the first one representing a charged battery and the second one a low battery. 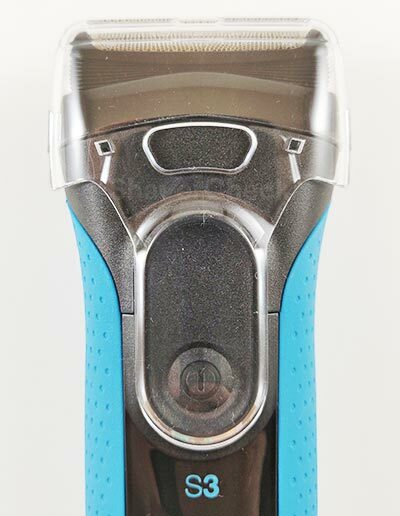 Upon turning the shaver on, the corresponding bar will blink throughout the entire shaving session. It’s easy to see why this is not particularly useful. For example, the first bar could mean anything from a 100% charge down to a 10% charge. Unless you know pretty accurately for how long you have been using the shaver from the last charge, you’re left with guessing. When the battery is almost drained, the second bar will turn red, signaling that you need to charge the shaver. When that happens you’ll have enough juice left in the battery for 10 to 15 minutes of use. Luckily, there’s a 5-minute quick charge function that will easily allow you to complete one shave — really handy when you’re in a hurry and the battery is completely drained. Overall, I was very satisfied with the battery performance of the 3010s, my only gripe being with that 2-level charge indicator. All right, let’s now focus on the shaving performance of the Braun Series 3 3010s. TLDR version: it’s an excellent all-around electric shaver, and not just for the money. It’s comfortable, smooth and shaves adequately close. Alongside the Panasonic Arc 3, it is definitely one of the more capable entry-level foil shavers you can currently buy. As usual, we’ll divide the performance review into several parts. In my experience this is where the 3010s (and the Series 3 in general) shines. Even when used for a quick dry shave, and without any pre-shave, the 3010s is remarkably smooth and gentle. I have very sensitive skin, especially on my neck and I can only use certain shavers to shave dry and not get any razor burn. 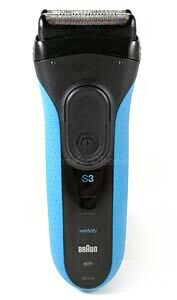 The Series 3 is one of the very few entry-level shavers that I can confidently use and also recommend to users with irritation-prone skin. The foils and that middle trimmer remained cool to the touch and only got warm toward the end of the shave. One minor negative aspect with regards to comfort would be that white plastic micro-comb surrounding the middle trimmer. The edges are a bit sharp/rough and this would sometimes cause me a bit of discomfort. Another thing worth pointing out is that I had to use slightly slower strokes with this shaver in order to get a perfectly comfortable shave. Using faster and sloppier strokes can sometimes cause some hair pulling which is something I hadn’t experienced with Braun’s more expensive shavers like the Series 7. However, this only happened when I deliberately pushed the shaver, so it’s no big deal. Overall, the Braun 3010s managed to perform great during my tests with regards to comfort. In my opinion, Braun electric shavers don’t excel at providing really close shaves. A similarly priced Panasonic will provide a slightly closer shave in most cases. But most users will not really notice the difference and in the case of the 3010s, the results were actually quite pleasing. The closeness was excellent on my neck and cheeks, I’d say even surprisingly good. Because it’s very comfortable during use, I was able to be very thorough and really get a smooth shave. But I did have to press a bit more than usual, which can lead to some post-shave irritation if you have very sensitive skin. I have medium to coarse facial hair, with very dense stubble especially on the chin and above the upper lip. And those were the areas where I wasn’t completely satisfied with the closeness. I could still feel some rough patches, but it wasn’t too bad. I’m only able to get a really close shave on those areas with high-end Panasonic shavers. When I used a pre-shave lotion, the closeness was slightly better, so definitely consider this option to further improve the closeness. I highly recommend Freelette or Speick, they are the best pre-shave lotions I’ve tried so far. 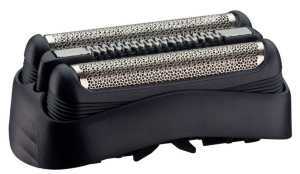 This is usually the weak point of most electric shavers, particularly entry-level foil shavers. And that’s precisely what the Series 3 is. However, it managed to hold its ground and performed admirably on a 3-day beard. Granted, it wasn’t as efficient and fast as a more advanced Series 5 or 7, but it wasn’t too bad at all. The hairs on my neck lie mostly flat and also grow in different directions. This usually makes shaving after 3 days of growth very challenging. But the 3010s worked surprisingly well and didn’t require a lot of extra strokes to get those difficult flat-lying hairs. I don’t think I would recommend it for constantly shaving a 3-day beard — you should really invest in a more advanced Braun shaver for that — but if you need it to, the 3010s will eventually get the job done. In my opinion it’s a lot better in such a situation than any other foil shavers in this price range. A basic rotary razor can work better on long and flat-lying hairs, but most of them won’t shave as close as the Series 3 and they aren’t anywhere near as comfortable. Despite having a fixed shaving head, the 3010s was still really good at maintaining contact with the skin. This is due mostly to the 3 independent shaving element that can be very easily depressed and have quite a generous range of motion. In this regard they work a lot better than for example the cutters of a Panasonic Arc 3 that are basically fixed, requiring a lot of force to be pressed and have a limited range of motion. Braun however keeps it simple with the Series 3 and gets the basics right. Some of the Braun Series 3 models, including the 3010s, are suitable for wet shaving. This means you can use them in the shower or with shaving cream or gel. I mostly stick to a dry shave with Braun razors as they’re already very comfortable and the improvements when using shaving cream are minor. I did try the 3010s a couple of times with shaving cream and it worked well, but as expected, it wasn’t drastically better — definitely not to the point of justifying the extra work. The shaving head did glide easier of the skin and the closeness was marginally better. So you can definitely give it a try and see how it works for you, but I think most users will prefer the convenience of a quick dry shave. This would be the part where I would normally talk about the long hair trimmer. The Braun 3010s doesn’t have one. While the trimmers found on the Series 3 ProSkin aren’t the best, they’re definitely nice to have. In this case your only option would be to consider another Series 3 model — more on this in the alternative shavers section. With regards to the noise it makes during use, the 3010s is on par with most other foil shavers. That means it gets pretty loud, especially when cutting the hairs, making it vibrate quite a bit. Compared to other Braun shavers, it has a slightly muddier, raspy hum. So it’s not very quiet, but again, no foil shaver is. The Braun 3010s is a Series 3 model that comes without a cleaning & charging base. Some ProSkin shavers do include one, but I think you should stick to the solo models like the 3010s reviewed here. And that’s because they have a far more reasonable price and unlike other more advanced Braun razors, they’re pretty easy to clean manually. The 3010s uses a cassette, meaning a single piece that encompasses the foils and the blades. This usually comes at the expense of making cleaning more difficult, but with the Series 3, it’s actually not too bad. It’s nowhere near as intricate as other Braun shaving heads, so there are fewer chances of dirt and hairs remaining trapped inside. The best way to clean the 3010s is with warm water since it’s fully waterproof. After you’ve finished shaving, remove the cassette and tap the plastic frame gently on the sink to remove most of the hairs. Put it back, then turn the razor on and rinse the head with warm tap water for 15 seconds or so. Remove the cassette and rinse it generously, inside and out. Rinse the shaver as well, shake the excess water and let them air dry before storing in a cabinet. This is all it takes for a quick clean. With that said, I highly recommend using a bit of liquid soap for extra thorough cleaning. You don’t have to do it after every shave (except if you use shaving cream), however it will be a lot more efficient than simply rinsing the shaving head with water. After removing most of the hairs by tapping the cassette on the sink, snap it back in place, pour a bit of liquid soap on the foils, add a few drops of water as well and turn the shaver on. 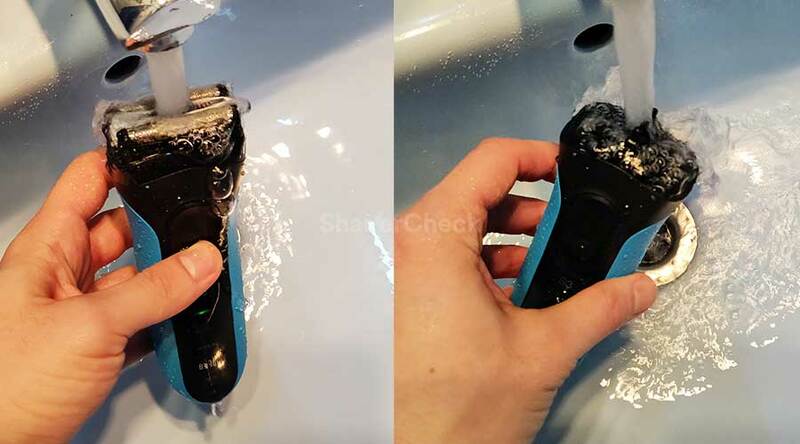 Let it run for around 15 to 20 seconds, then rinse the head with warm tap water while the shaver is still running. Turn it off, remove the cassette, then give it a thorough rinse. Do the same for the shaver and let them air dry. You should also lubricate the blades regularly, especially if you clean the razor with soap. You can use either a light oil (clipper oil, sewing machine oil) or a spray cleaner & lubricant. Here’s a detailed guide on how and when to do it. All the Series 3 ProSkin models use the 32b/32s replacement shaving heads. These are among the more inexpensive and readily available cassettes in Braun lineup. The recommended replacement interval is 18 months, but that can vary depending on how often you shave and how well the razor is cared for (cleaning and lubrication). However, you can expect to get 18 months out of these shaving heads and since the price is also reasonable, the Series 3 3010s does very well with regards to keeping the costs of ownership low. 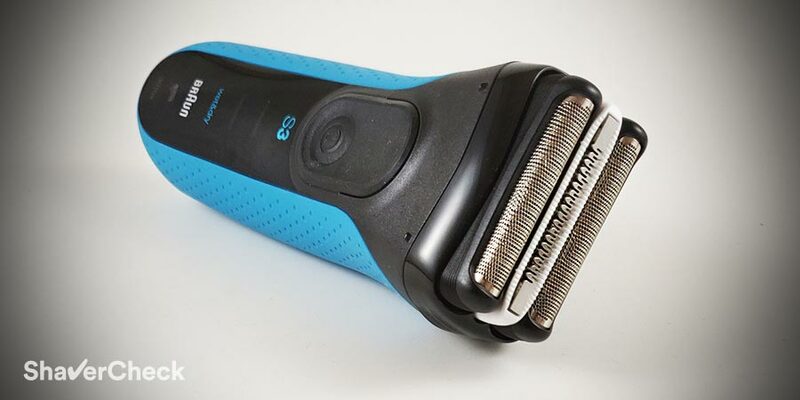 The 3010s, just like any other similar Series 3 ProSkin model, should be shortlisted by anyone looking to buy a capable, but cost-effective electric shaver. It’s a very well balanced blend of features, performance, and price that should be good enough for most users. After testing the 3010s for a few weeks, I didn’t have any major issues with it and I can confidently recommend it as one of the better entry-level electric shavers. I was very satisfied with the comfort and pleasantly surprised by its performance when shaving my beard after a few days of growth. 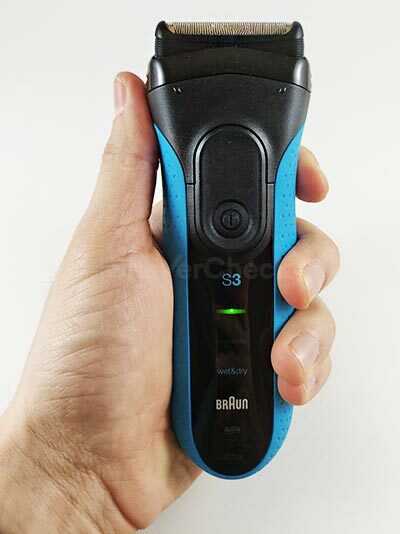 I found the closeness to be adequate for a shaver in this price range, even though there are other options that are slightly better in this regard. 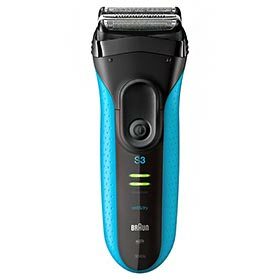 As for who shouldn’t get it, you have to keep in mind that the Braun 3010s is an entry-level shaver after all and your expectations shouldn’t be excessively high. For example, if you want a really close shave and your facial hair is very coarse, you might want to invest a bit more in a Panasonic Arc 4 shaver. 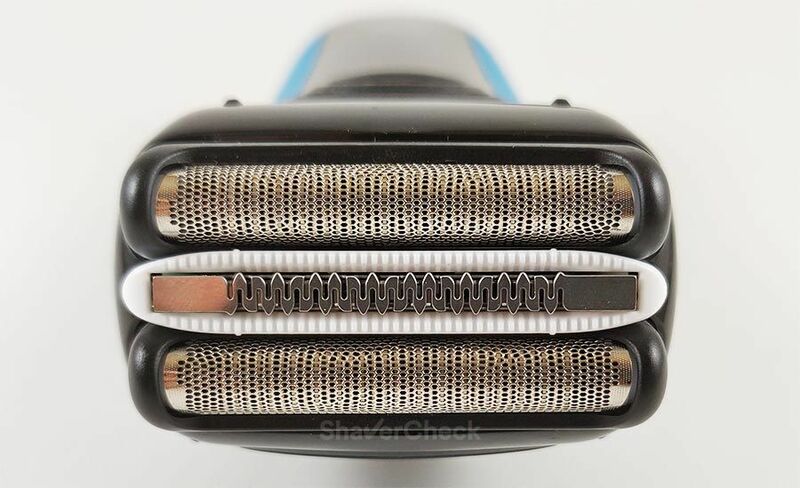 Also, while it deals surprisingly well with longer and flat hairs, if you tend to shave less often I think you would be better off with a Series 5. Let’s now check out a couple of similarly priced shavers. This would be the most obvious alternative to the 3010s. It is an identical shaver but it does include a hair trimmer. And since it doesn’t cost a whole lot more, you may very well get this one instead. This also the sole reason why the 3040s made its way to our list of the best electric razors and the 3010s did not. The Arc 3 line from Panasonic is the direct competitor of the Series 3. Both have their pros and cons, the Arc 3 offering a slightly closer shave, but it’s not as comfortable and it’s also not as good with long and flat hairs. But if you don’t have sensitive skin and shave often, the Panny can be a better option. It also includes a popup hair trimmer that is a lot better than the ones on the Series 3.